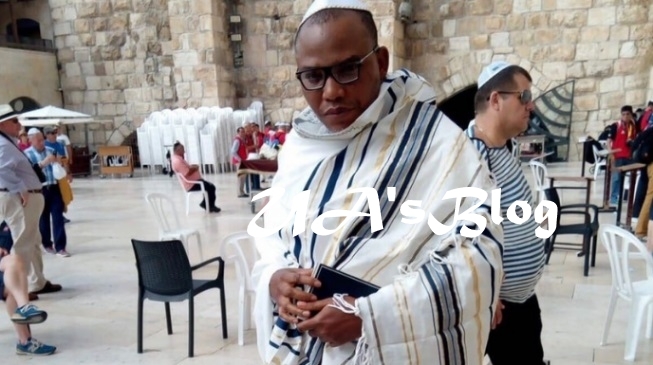 The IPOB Leader said this on Wednesday night in a live broadcast. “We called for boycott of the Zoo. Nigeria was vibrating, we called it off they ran astray. That’s how powerful IPOB is. “No amount of intimidation, arrest, killings will stop us from marching. “Im not sure that their Sham election will hold on Saturday 23rd Feb; because Jubril will be chased back to Sudan, then you will know that Buhari is dead. Further lamenting on Killings of IPOB members, Kanu called out Governor Willie Obiano of Anambra state, blaming him for orchestrating the genocide. “As I am speaking now, IPOB members are being parked and taken to DSS custody in Abuja, masterminded by Obiano and others. “Now that Obiano, Okezie Ikpeazu and other Igbo governors are hunting down and killing IPOB members, everyone is keeping quite.